North Korea is poised to refurbish and upgrade the central Pyongyang train station, the Japan-based pro-DPRK outlet Choson Sinbo reported on January 21. Kim Soon Ok, director of North Korea’s Railroad Ministry (철도성) told Choson Sinbo that the North Korean government will repair and improve Pyongyang station in order to make it more modern. Kim said that the main building at the station would be improved to meet the “trend of new era”, adding that North Korea was ready to improve other train stations across the nation. Despite the news, a source in Pyongyang on Monday told NK News that no construction work was yet visible at the station. 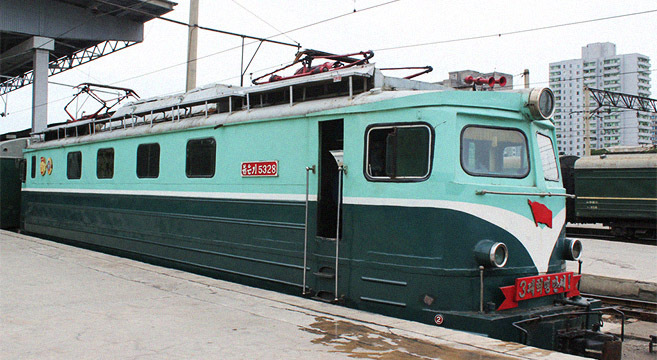 Pyongyang station was built in 1958 with an area of 3,500㎡. It has four stories including one basement and is the main station foreigners visiting the city arrive in. “Reunification Station” near Kaesong is one of North Korea’s most modern stations and was built during the Sunshine era when ties between the two Koreas were at their closest. North Korea has been modernizing infrastructure in Pyongyang for several years. Kim Jong Il promised North Korean citizens that the DPRK would be a “strong and prosperous” state by 2012, founding leader Kim Il Sung’s 100 anniversary. Subscribe to read the remaining 204 words of this article.